A coalition of environmental organizations has filed a lawsuit against the federal government challenging last month’s approval for five companies to test for offshore oil and gas reserves. The group filed the lawsuit in a South Carolina courtroom Tuesday under the Marine Mammal Protection Act. Authorizing five companies to simultaneously conduct seismic testing would disrupt the marine ecosystem and could seriously injure or kill whales and dolphins, including the critically endangered North Atlantic right whale, the plaintiffs contend. The lawsuit argues that the National Marine Fisheries Service (NMFS) violated the Marine Mammal Protection Act, the Endangered Species Act and the National Environmental Policy Act when it issued Incidental Harassment Authorizations (IHAs) in late November. In a statement, the plaintiffs, which include the North Carolina Coastal Federation and the Surfrider Foundation, say the government has estimated that seismic airgun blasting could harass or harm marine mammals like dolphins and whales — which depend on sound to feed, mate and communicate. “Seismic airgun blasting would also jeopardize the iconic North Atlantic right whale, a critically endangered species, according to 28 leading right whale experts,” the statement said. 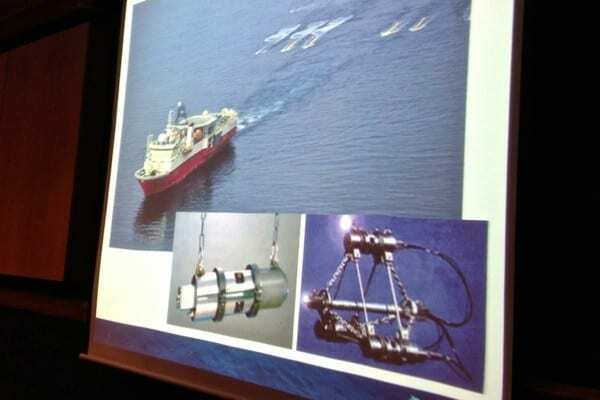 Another federal agency, the Bureau of Ocean Energy Management, would still have to issue permits to each company to conduct the testing, which involves towing arrays of airguns behind ships to send sound waves to the ocean floor to detect evidence of oil or natural gas reserves. Governors and local counties and cities along the East Coast have also objected to offshore exploration and drilling. I already wrote a comment. I want to make it clear. The seismic testing is terrible thing to do in the ocean if it’s safe put divers in the area and lets see if they aren’t deaf afterwards. Now as far as the oil rigs they would be a fads for fishing. Again no seismic testing. Period. Those that are for it are clueless. I don’t want oil drilling off the beach that attracts the guests that come to our rental property. And I don’t want dead fish washing up on that beach so they can find the oil I don’t want them to drill. Nah Hank, they just want you to live that way, it’s never by example but they have no problem telling you how YOU should live. I can’t believe how ignorant and selfish the pro-drillers are. Hank Hill and surf123, at the risk of sounding intellectually elitist, have either one of you passed the fifth grade? It is a plausible position to take as a Republican to be against seismic testing because I want to protect our shores from drilling. It makes economic sense. Environmental groups do not care about humans and never will. Their long-term goal is to get all of us pesky humans out of the environmental areas they claim to want to protect. Their “final solution” is to evict all humans and give the land back to the animals. I hope that these bozos lead by example and walk, ride horses and don`t heat or cool their homes.